Bob Jones University was established in 1927 by evangelist Bob Jones Sr. Throughout his travels, Dr. Bob Jones Sr. saw students whose faith was shaken during college, and he recognized the need for a thoroughly Christian college that stood on the absolute authority of the Bible to train America’s youth. His vision was to establish a training center for Christians from around the world that would be distinguished by its academic excellence, refined standards of behavior, and opportunities to appreciate the performing and visual arts. At the same time, Dr. Jones’ intent was to make a place where Christ would be the center of all thought and conduct. 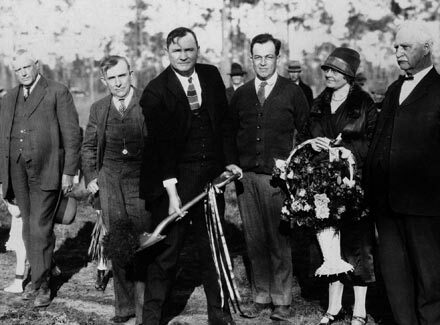 Midst the sand, saw grass and pine forest, Dr. Jones Sr. and the Board of Trustees broke ground for the college on December 1, 1926, in Bay County, Fla. 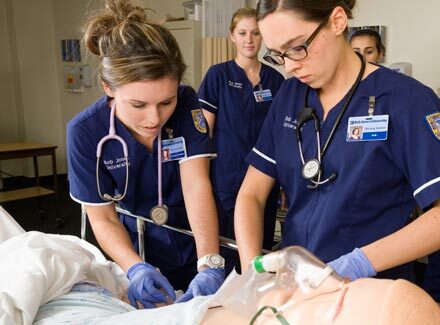 The following September Bob Jones College opened with 88 students. Of primary importance was the daily chapel service, which Dr. Bob Sr. determined to keep “hot” with fervent preaching from the Bible. Before long, Dr. Bob became famous for his chapel sayings—concise encapsulations of spiritual truths. In addition to taking classes for the degrees of Bible, music and speech, students were also involved in other activities, such as literary societies, sports, weekly Vespers and the Classic Players. The college survived the initial years of the Great Depression while maintaining high spiritual and academic standards. Although a lack of funds ultimately forced Bob Jones College from its Florida campus, God moved it to a location more accessible to its financially strapped students. 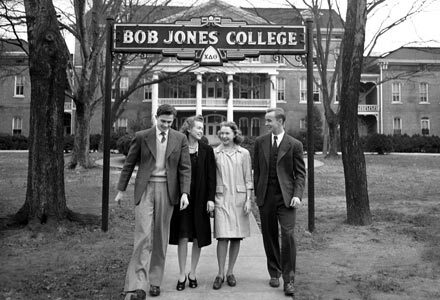 In the spring of 1933, Bob Jones College purchased and moved to its new campus in Cleveland,	Tenn. Both the intramural sports program and Artist Series began in this new location. The college also established a work scholarship program to help students pay for their education expenses. Despite the Depression, enrollment continued to increase. God’s financial provision for new buildings allowed Bob Jones College to accommodate the increased enrollment. Following World War II, the GI Bill was introduced, causing the student body to nearly double in size. Needing more room to grow, the college was forced once again to relocate. In 1946, the construction of a new campus began in Greenville, S.C. With the addition of 6 academic schools, Bob Jones College became Bob Jones University in 1947. 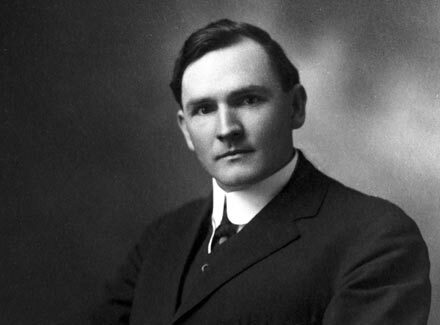 That same year, the Board of Trustees elected Dr. Bob Jones Jr. president of the University. Just like his father, Dr. Bob Jones Jr. upheld the University’s foundation on the Scriptures while emphasizing the fine arts. On October 1, 1947, the University welcomed over 2,500 students to the new campus. The University continued to add to the original 18 buildings as time and money allowed. The move to Greenville also allowed space for a university radio station and a Christian film production studio, Unusual Films. To provide a greater cultural exposure for the students, Dr. Jones Jr. founded the BJU Museum & Gallery in 1951. To this day, visitors from around the world come to Greenville to view one of America’s finest collections of religious art. In 1964, Bob Jones Jr. became chairman of the Board of Trustees, and Dr. Bob Jones III was elected as the University’s vice president. On January 16, 1968, the Lord called Dr. Bob Jones Sr., the university founder, to meet his Savior after a lifetime of faithful service. In 1971, Dr. Bob Jones Jr. became the university chancellor, and Dr. Bob Jones III assumed the responsibilities of president. Under the new leadership, the University expanded many facets of its ministry. BJU Press was founded to provide educational materials with an integrated Christian philosophy for both schools and homeschool families. 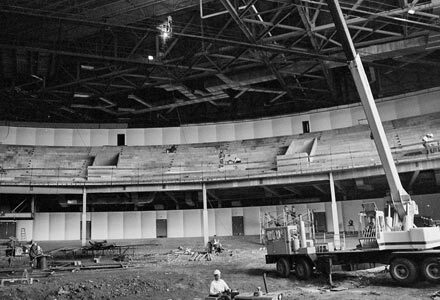 Several buildings were also added to the campus, including the 7,000-seat Founder’s Memorial Amphitorium, dedicated to the memory of Dr. Bob Jones Sr., and opened in 1973 to accommodate the growing student body. Dr. Bob Jones III continued to emphasize the need for outreach both locally and worldwide. He became instrumental in church planting ministries across the country and around the world through both preaching and financial support from the University. As part of this effort, the University established the WORLD Fund to provide financial assistance to foreign students who planned to return to their homeland to serve Christ. In addition, the University sent out student summer-mission teams, led by various faculty and staff members, that assisted preachers and missionaries in a variety of ways, including evangelism, building projects and church ministries. In the mid-1990s, Bob Jones University launched distance learning programs through BJU Press, which benefit thousands of students from homeschool families and Christian schools everyday. Dr. Bob Jones Jr. went home to be with the Lord on November 12, 1997. 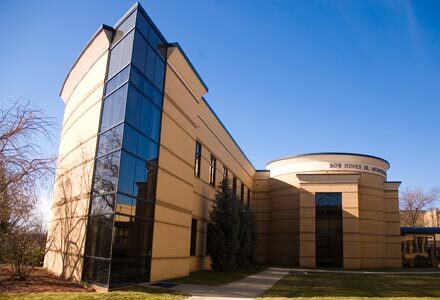 In remembrance of his zeal for preaching the Word and seeking the salvation of souls, the Bob Jones Jr. Memorial Seminary and Evangelism Center was built in his honor. 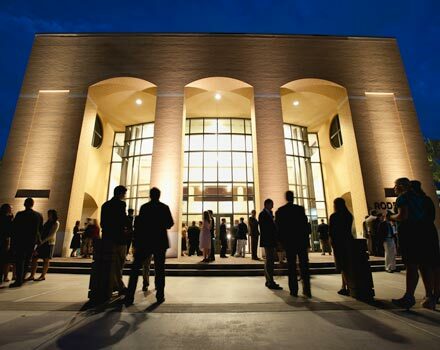 In 1998, with the assistance of Bob Jones University faculty and staff, the Museum & Gallery launched the first Living Gallery—a unique production that presents the Gospel through music, drama and live works of art. In 2004, the University began the process of becoming an accredited member of the Transnational Association of Christian Colleges and Schools, and in November 2006, accreditation was granted. 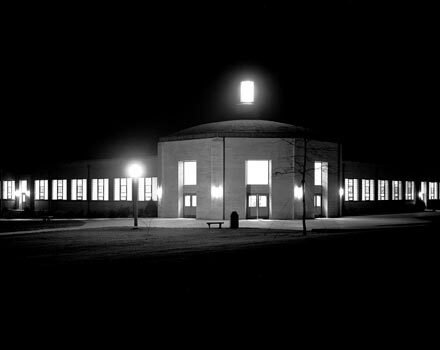 Facilities improvements continued after the turn of the century, including the construction of the Davis Field House, a new fountain on front campus, a face-lift to the Founder’s Memorial Amphitorium, a new lobby addition to Rodeheaver Auditorium, and the construction of a Welcome Center located in the Student Center. Dr. Stephen Jones was installed as the fourth-generation president during commencement in 2005. Dr. Bob Jones III assumed the role as chancellor of the University and continues to be active in the ministry of BJU. Dr. Stephen Jones immediately affirmed his intention to keep BJU committed to its Bible-based heritage, to its mission of Christlike character development, and to its emphasis on academic and cultural excellence. He also initiated an on-going emphasis on mentoring and discipling individual students to help them grow in their walk with the Lord. At the outset of the second decade of the new millennium, BJU introduced a new tagline: Build Faith. Challenge Potential. Follow Christ. Guided by this fresh expression of its unchanging mission, the University entered a time of renewed focus on fulfilling its purpose in Christian higher education. 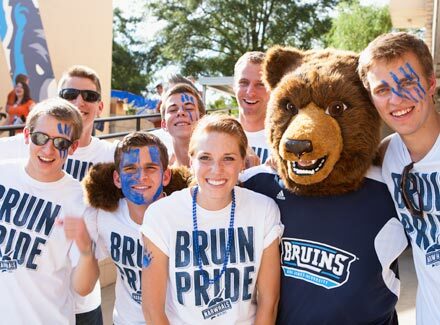 In 2011, BJU announced its return to intercollegiate athletics and the following year introduced the University’s new mascot: the Bruin. In August 2013, BJU introduced a new collegiate visual identity. Due to health issues, Dr. Stephen Jones resigned as president of BJU in May of 2014, and Steve Pettit was elected as the new president. The common thread that runs throughout the history of Bob Jones University is love for and faithfulness to God and His Word. With eyes fixed on Jesus Christ, the University presses forward into the new decade with hopeful expectation that God will continue to use BJU to glorify His name and bless His people all across the world. Things I Have Learned — Chapel messages by Dr. Bob Jones Sr.